This is not an attempt to lay down railway lines for a converting aquarist to religiously follow, but hopefully a thought provoker that indicates some of what lies ahead. 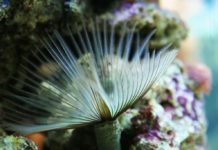 Quite a number of freshwater aquarists are tempted to keep marines because they see a stunning aquarium somewhere, or they realize that keeping marines is not as difficult as they first thought, or they feel they have accumulated enough experience to make the change. Not all freshwater aquarists are the same of course. 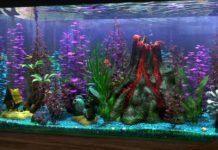 There are some really beautiful decorated freshwater aquariums around, and keeping one of these is as difficult as a reef aquarium. Once the decision to change has been made, then the aquarist gets to the point. What next? What do I need? What can I use from the freshwater system? The third, the canister filter. The aquarium should be emptied. 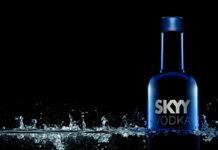 Once empty, it should be thoroughly rinsed in clean fresh water (tap water will do). Then it should be dried with clean cloths. 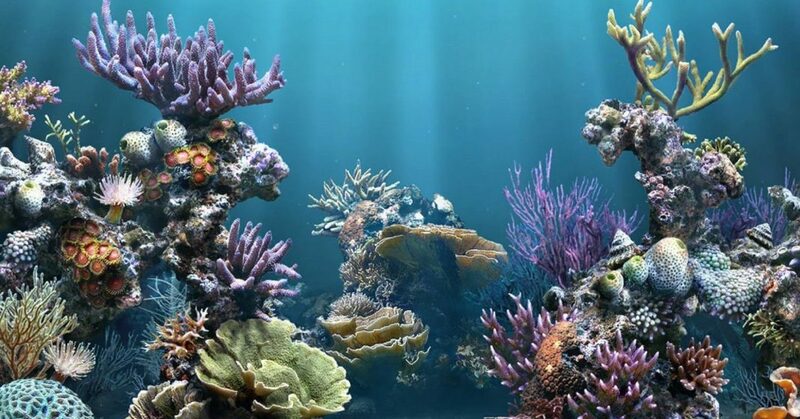 There is no need to use a sterilizing agent, as the aquarium is going to remain empty, dry and penetrated by air for a period, until the marine system is ready for assembly and use. If a sump has been in use, this should receive the same treatment. If a sump has not been in use, then you should consider having one. If you decide to have one, have the aquarium drilled to receive the overflow plumbing. Some equipment needs to be obtained. 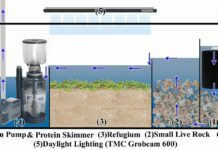 A protein skimmer should be rated at around twice the net capacity of the aquarium system. The heaters are already available – if there is any doubt, or they have been in use for a long time, obtain new ones (two are best, rated at one half each of the required wattage). Circulation creation needs to be considered, by purchasing power heads, or an internal wave-maker, or both. A canister filter is already available, but it should be noted that this will be used for chemical and solids filtration only (bio-filtration is by other means). Lighting needs some careful consideration. What does the aquarist intend to keep? It is likely that a fluorescent system is already owned, and this could be used on the marine system. However, the fluorescent tubes will need to be changed as the light spectrum will be incorrect. Actinic tubes combined with daylight types are required. 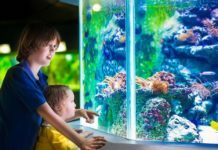 Again, if the aquarist has a quite deep aquarium, and/or hard corals are to be kept, consideration should be given to metal halide lighting of the correct wattage and Kelvin rating. It has already been stated that filtration will be other than a canister filter (it can be by canister filter(s) but these are not the modern recommended way). My filtration of choice is live rock. Live rock can be obtained as “base” which is cheaper, and “premium” or surface which costs more. The amount of rock is generally 1½ lbs for each gallon in the system. The rock can deal with ammonia, nitrite, and nitrate (provided it is not abused, it has limits). 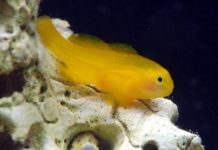 Further enhancing filtration can be placed in the aquarium, such as a deep sand bed (DSB). This DSB can also be placed in the sump. A Plenum (a raised DSB) is another alternative, particularly in the sump. Algae (Caulerpa) filtration can also be put to use in the sump. If a DSB will be put in the sump, then decorative sand in a fairly thin layer can be placed in the aquarium. 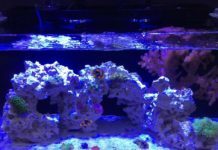 If there is to be a high calcium demand (hard corals), consideration can be given to a calcium reactor. 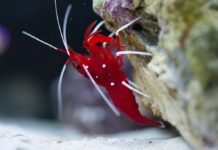 In a larger aquarium, additives can prove expensive and impractical. An automatic top-up system could be put to use, again a good addition to the larger system. A small aquarium can use these devices, but they would be more of a luxury. Now for the seawater. The first need is sufficient dry sea salt. The second, at least after the initial mix, is a saltwater safe container for routine water changes. Actually considering fish and/or corals hasn’t been undertaken yet, apart from the lighting requirement for corals. So now the freshwater aquarist has some equipment. He also has the experience of keeping an aquarium, and has done research on it. 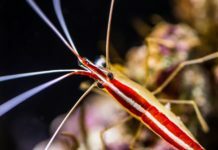 On the change to saltwater it is evident that a lot more research is required, not because the saltwater hobby is particularly difficult, but because it is different. One thing the freshwater aquarist probably has is patience. This patience will prove to be of immense value.